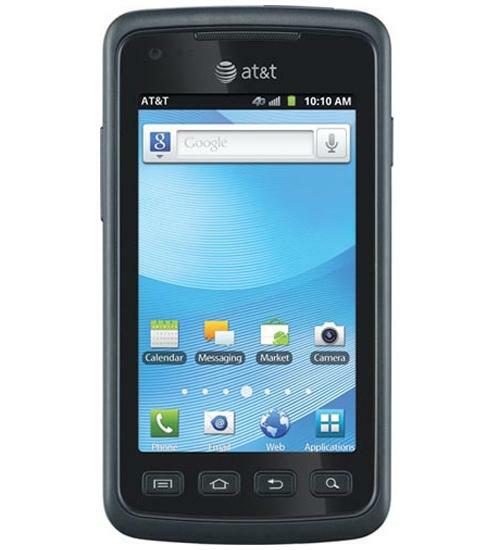 The durable Samsung Rugby Smart is an Android smartphone for AT&T featuring a water and dust resistant design, 3.7 inch Super AMOLED touch display, and 4G data speed capability. The Samsung Rugby Smart meets US military spect STD-810F for dust, humidity, rain and shock. The Rugby Smart has a 5 megapixel primary camera with 720p HD video capture and a 1.3 megapixel front-facing camera. Access thousands of apps in the Android Market. Samsung Rugby Smart Review Part 2 The Samsung Rugby Smart joins AT&T's lineup as a rugged smartphone, made to withstand tough falls and rough use. Samsung Rugby Smart Review Part 1 The Samsung Rugby Smart joins AT&T's lineup as a rugged smartphone, made to withstand tough falls and rough use. The Rugby Smart captures 720p HD video with it's rear-facing 5-megapixel camera. If you're someone that drops your smartphone all too often, AT&T's Samsung Rugby Smart may be the device for you.